This morning more than 100 World War II veterans made the trip to Washington, D.C. to visit the memorials built in their honor. We were again honored to be part of their sendoff, and are excited to be part of their return tomorrow (May 5th) at about 6:15 pm at the Grand Junction Regional Airport. The entire community is invited to welcome the veterans home, so we hope to see you there. It’s a very emotional experience for everyone involved, and the amount of patriotism is awe-inspiring. 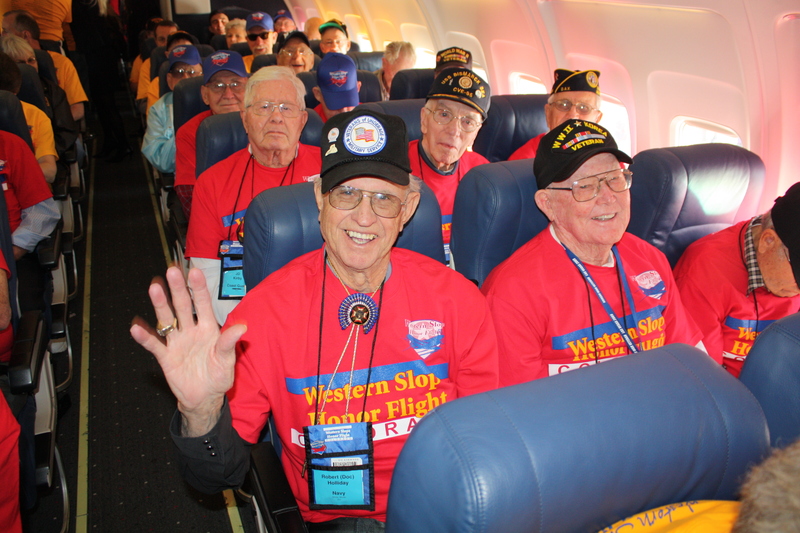 You can get a sense of what to expect by reading our blog from the last flight, check out our photos from this morning on our Facebook page, or visit the Western Slope Honor Flight website.